I had the pleasure of attending the Edmonton Symphony Orchestra (ESO) and Leonard Ratzlaff's Richard Eaton Singers (RES) performance tonight at the Winspear Centre and all of the songs revolved around the "chorus" in one way or another. I wrote a preview of this performance outlining some pieces I was interested to hear and it definitely was a very unique performance. 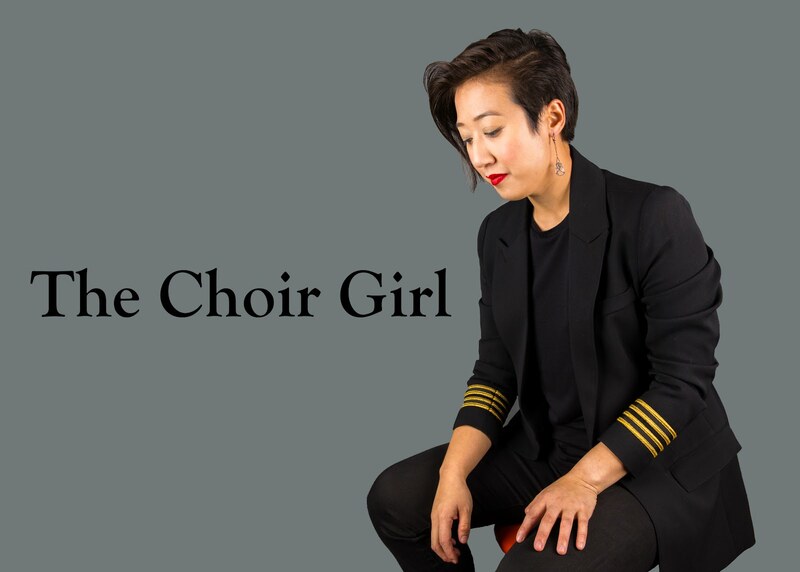 In the first pieces "With a Song in My Heart" and "The Trolley Song," you could hear that the choir was a little bit out of its element, since these are extremely character-driven songs, and the choir struggled at times to find a unified soloistic voice to represent itself. I can imagine that in the short of amount of rehearsal time that they did have, the bulk of the time was most likely spent on the 1812 Overture and less so on these musical theatre numbers. However, I loved the ESO's cheeky playing during "The Trolley Song" and the low strings appropriately responded with pizzicato when the chorus talked about tugging heart strings. The brass section also had the trolley signal down. Before the Sleeping Beauty waltz, Jack Everly made fun of the fact that Tchaikovsky's Sleeping Beauty music was only recognized once the music received an Oscar nomination following Walt Disney's film. You could hear that RES began to settle their voices in the latin texts of Poulenc's staccato and light "Laudamus te" and Lloyd Webber's hauntingly beautiful "Pie Jesu." The RES began with just a few select singers from the soprano and alto sections and it definitely was difficult for them to achieve an unified balance, due to exposed entries and the physical gaps between the singers during Pie Jesu, but it was still extremely beautiful and worked well within a choral arrangement. Another highlight of the first half was Fiddler on the Roof's "Sunrise, Sunset" and I just have to say that the RES women have an extremely wonderful maternal tone that was so resonant in this piece as well as their encore "Climb Every Mountain." The two Hallelujah pieces extremely contrasted one another. There was a new arrangement of Cohen's "Hallelujah," and although I really enjoyed the ending and the shaping of the orchestral arrangement, the choral parts just had a very karaoke vibe to it at times. Maybe it is because I am desensitized to the song, since it is so often performed, but the piece is meant to be a solo one and the choral voice just didn't have the flexibility that the piece requires. Not due to any fault of the choir's or arranger's but I just don't think this piece is meant to be done choir-style. Handel's "Hallelujah" chorus, on the other hand, was extremely fitting and you could tell that the RES could sing this song in their sleep! Though, I was slightly disappointed the audience didn't stand. Maybe that is something that only happens during Christmas? The second half was a nice contrast with more tradition classical and operatic choruses. Jack Everly's conducting would often take me by surprise, since as soon as he turns around, within a second, the orchestra would be playing. I almost didn't feel prepared as an audience member to start listening when the music had such an abrupt start! Thus, the start of the booming "O Fortuna" chorus right after the intermission startled me! As well, he had a tendency to conduct using upbeats which was throwing me for a visual loop. I almost felt like breathing instead of singing while watching him. However, he had a nice, light banter style between the pieces which was appreciated. The Madama Butterfly humming chorus was resonant and ethereal and the ESO was showcased so well in the soaringly beautiful dawn section in the prelude to Act III of the opera. The choral arrangement of the Tchaikovsky's 1812 Overture allowed me to hear what the RES does best and that is booming adult works with mass power. The ESO had so much majestic flourish in the 1812 Overture and I never get tired of hearing the victory bells of Moscow ring out at the end of the piece. Take THAT Napoleon! All in all, I had a lovely evening out at the Symphony since it has been a long time since I took in one of their concerts. They are wrapping up their current season in the next few months and they already have many exciting concerts planned for their new 2010-2011 season and you can check those out here and look at subscription packages as well. And, if I may, I would like to give a shout-out to Colleen Vogel in RES. I love watching your joyous face sing! It is always a pleasure!